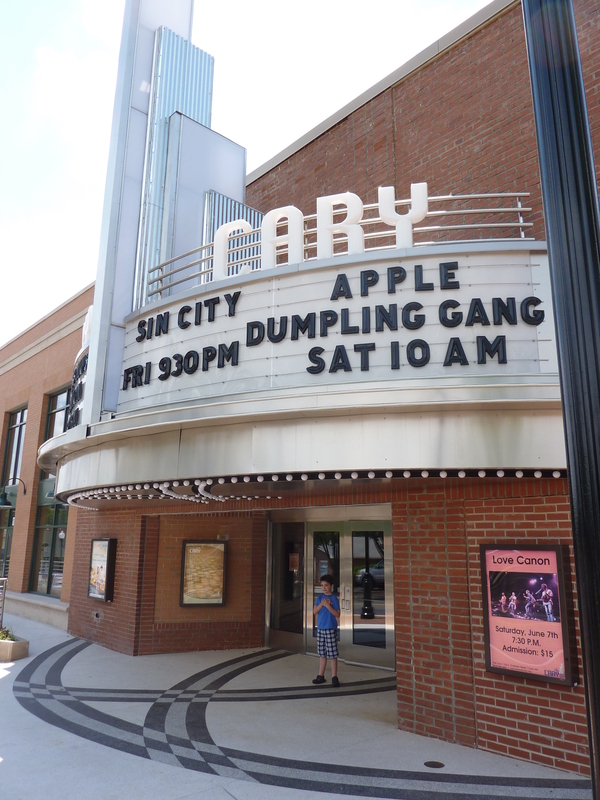 The Cary Downtown Theater was once home to the town’s first indoor movie theater, aptly titled The Cary. Built in 1946, the theater hosted live performances as well as a wide range of films for the price of just 40 cents. Lash LaRue, Ernest Tubbs and Patsy Cline are said to have appeared back in the day. 1947’s The Voice of the Turtle, starring Ronald Reagan, was one of the earliest films shown. Its launch fell during the Jim Crow Era of Segregation. 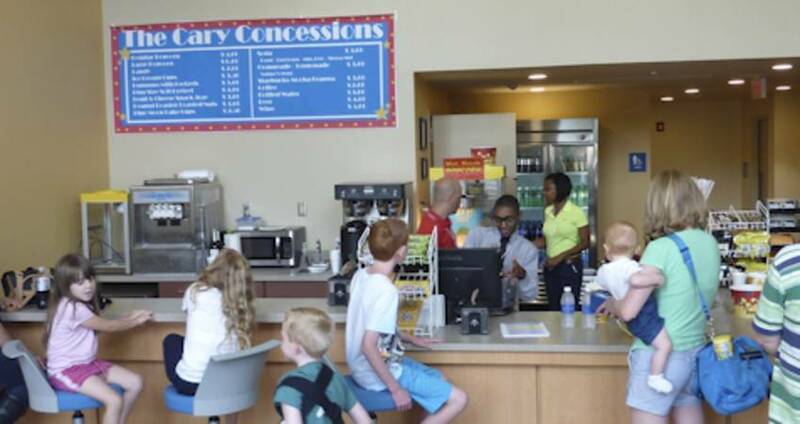 As a result, The Cary’s past included separate entrances, exits, seating and access to facilities for African-American guests. This history, along with actual pieces of the building’s past, are on display in the balcony lobby. Nightlife blossomed at the dating hot spot. The opening of The Car-Ral Drive-In, however, (often referred to as McSwain’s for its operator, J.T. McSwain)–once at the corner of S.E. Maynard and E. Chatham Sts.–slowly ebbed at The Cary’s business. And once television sets could be found in almost every home, the theater finally closed. The building was renovated in 1960 and reopened as Cary Clothiers. The business sold quality men’s wear until Cary Village Mall (now Cary Towne Center) opened in 1979. After that, the lower level was used by Chatham Street Auto Parts and the upper level became a recording studio. Coming full circle, The Cary marquee now lights up downtown Cary once again and welcomes patrons to its 175-seat theater with a concession stand (offering gourmet popcorn, cake cups, roasted nuts, hummus and pretzels, movie theater candy, fruit and cheese assortments, ice cream, soft drinks, coffee, beer and wine)! The 48 seats up front are movable to allow for a dance floor or cabaret setting, and tables can be brought in whenever necessary. The majority of events will be general admission, however, some events will require reserved seating. During construction, a piece of film was found on the original projection booth’s floor. The snippet was from a 1951 Western and is now on display in the lobby. Renovating the building is part of a major downtown revitalization effort for Cary, with the intent of bringing more people downtown. 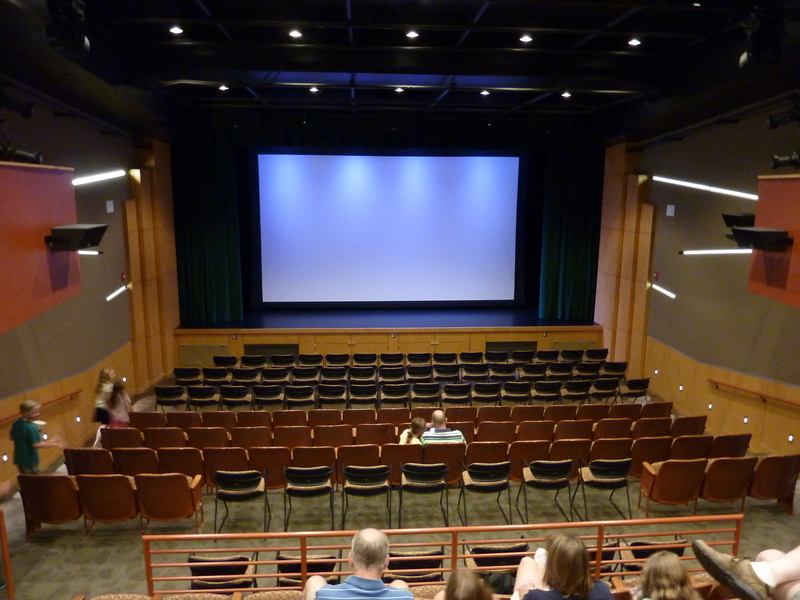 Much like its predecessor, the new Cary theater provides a unique setting for cinema (both adult- and child-friendly, including a monthly movie series for kids and summer movie criticism and improv camps) and live performances (from stage, to comedy and improv to music)–thus enhancing Cary’s cultural experience. And officials say the theater will help fill the void left when The Galaxy, a local theater known for showing independent films, closed its doors last year. 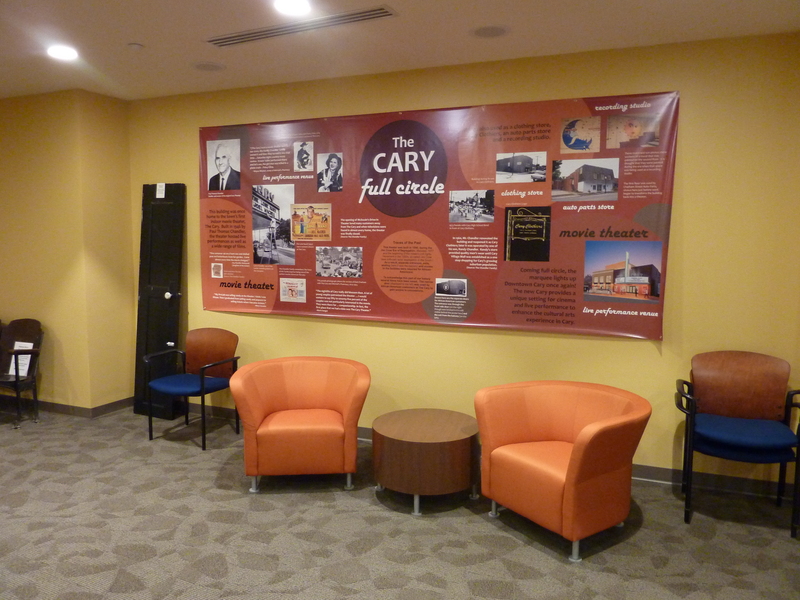 “Restoring The Cary was a wonderful way to preserve memories while helping visitors to the theater make new ones,” said Liza Weidle, Heart of Cary association board member. The Cary Downtown Theater is located at 122 E. Chatham St., near the intersection of Academy and Chatham (if you’ve shopped Lazy Daze, you’ve probably walked right past it). The interior is now wonderfully modern, and the venue makes for a great night out. Tickets are available at the box office or via Etix.